In previous articles, we’ve looked at the one-sided deal that has emerged when it comes to search engines and publishers. Whilst there is no question that search engines provide value to end users, it’s clear that the search engines are taking the lionshare of the value when it comes to web publishing. The more value stripped from publishing, the less money will be spent on publishing in future. In this respect, the search engines current business model undermines their own long-term value to end users. In this ecosystem, the incentive is to publish content that is cheap to produce. Content might also be loss-leader content that serves as a funnel leading to a transaction. Some of the content might be advertorial, the result of direct sponsorship, and may well include paid links. 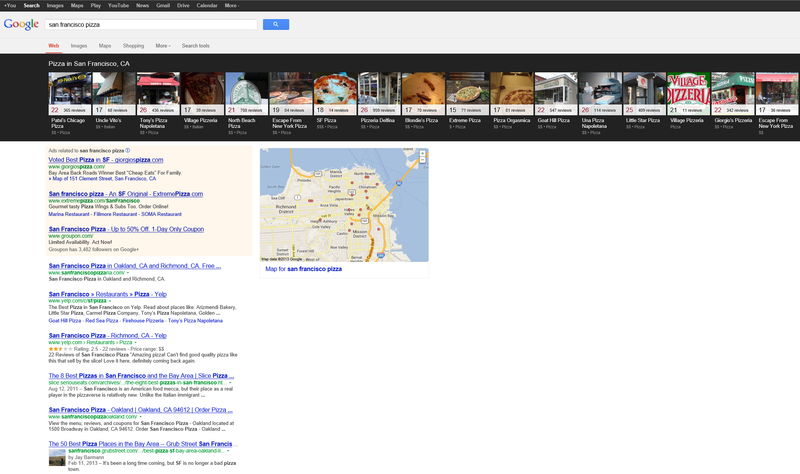 Curiously, it has been suggested by a Google rep that "....you blur the lines between advertising and content. That’s really what we’ve been advocating our advertisers to do". Some of it might be "the right kind of native", courtesy of Google Doubleclick. Some of the higher value content tends to be a by-product of the education sector, however the education sector may be the next in line to suffer a commodification of value. There is little return to be had in producing high value content and making it publicly available for free, with no strings attached, so naturally such content is disappearing behind paywalls and taking other forms. Some YouTube producers are rebelling. In a recent post, Jason Calacanis outlines the problem for video content producers. He maintains that Google’s cut of the rewards amounts to 45%, and that this cut simply isn’t sustainable for video producers as their margins aren’t that high. Successful media businesses today have margins in the 20% to 50% range--if they hit profitability. That means if you give a partner 45% off the top, you have no chance of breaking even (emphasis mine). In fact, this absurd revenue is so bad that people have made amazingly clever strategies to skirt them, like VICE producing the Snoop Lion documentary and Grace Helbig becoming the face of Lowe’s Hardware. A full 100% of that money goes to the content creator -- boxing out YouTube. More on this later. YouTube doesn’t have to worry because they simply lop off 45% of the revenue from the top for providing video hosting. Hosting for them is, essentially, free since they have a huge -- and growing -- network of fiber (see ‘Google's Fiber Takeover Plan Expands: Will Kill Cable & Carriers’). In a subsequent post, Calacanis laments that whilst a lot of publishers got back to him in support of his views, he received no contact from YouTube, even though he is supposedly a high value “partner”. And what do YouTube do for this 45% cut? Hosting? They’ve pretty much outsourced support and liability to the MCNs for no money down. I imagine running a video network is pretty expensive, although I wonder about the true costs for Google. Calacanis obviously doesn’t think they’re great enough to justify the cut. Paid search also extracts a high tax. Let’s run the numbers. A site has an average order price of $100. The site converts at 1% i.e. a site makes a sale to one in every hundred visitors. Sales are $1 per visitor. If the total cost of providing the order is $50, then the profit is 50 cents per visitor. The site can pay the search engine up to 49 cents per click and make a profit. Let’s say the site invested heavily in conversion optimization to raise the conversion rate. They redesign their site, they refine their offer to give users exactly what they want, they optimize the sales funnel, and they manage to double their conversion rate to 2%. Now, for every 100 visitors, they make $2 per visitor. They can now bid up to $1.99 and still make a profit. But along comes the competition. They also invest heavily in conversion optimization, and copy, and process, and they double their conversion rates, too. These sites must then keep upping their bids to stay on top in the auction process. Who benefits? The search engine benefits from this content improvement in the form of higher bid prices. The producer improves the value of their sites to users, but whilst the competition is doing the same thing, the real winner is the search engine. This is one reason the search engine spokespeople will advise you to focus on delivering value to customers. The more value you create, the more value you’re going to end up passing to a search engine. As publishing becomes easier, the more gets published, yet the amount of attention remains relatively static. The competition increases, and it is likely that those with the deepest pockets eventually win high value and/or mature verticals. Whilst we’re waiting for a new paradigm to come along that swings the pendulum back in favor of publishers - and we may be waiting some time - we need to think about how to extract more value from each visitor. This is not meant as a beat-up on the search engines - I’m glad they exist and enjoy most of what they do - rather this is about trying to get a handle on the ecosystem as it stands and how to thrive in it, rather than be crushed by it. In long tail markets - and web content is a l-o-n-g tail market - most of the value flows to the person organizing the market. The key to prospering in this environment - if you don’t have the deepest pockets and you don’t organize the market - is to build relationships. SEO is built largely on the premise that a relationship doesn’t exist between searcher and publisher. If a relationship already existed, the searcher would go direct to the publisher site, or conduct a brand search. I’m sure that’s how most people reading this article arrived on SEOBook. So, try to make the most of every search visitor by turning them into non-search visitors. The search engine gets to extract a lot of value on first visit, especially if they arrive via PPC, but if you can then establish an on-going relationship with that visitor, then you get to retain value. Subscriptions can be in the form of bookmarking, signing up to Twitter, on Facebook, email subscriptions, RSS, and forum subscriptions. Encourage users to find you, in future, via channels over which you have more control. If you’ve buried these subscription calls to action, make them overt. Share exit traffic with like-minded but non-competitive sites. Swap advertising. Make guest posts and allow others to do likewise. Interview each other. If appropriate, instigate affiliate programs. Invest in and grow your personal networks. Define a unique brand. Push your URL and brand everywhere. Take it offline. Even down to the basics like business cards, pens, whatever, emblazoned with your logo and URL. If you don’t have a definitive brand in your space, pivot and build one. Own your brand search, at very least. Publish ebooks. Build apps. Publish white papers. Make videos. Think of every medium and channel in which you can replicate your web publishing efforts. Once you establish a relationship, give people reasons to come back. Think of what you do in terms of a platform, destination or place. How would this change your current approach? Ensure your business is positioned correctly so that people perceive a unique value. You can then treat search engine traffic as a bonus, as opposed to the be all and end all of your business. I think the reality Janier describes in that book is self-evident - that the middle class is being gouged out by large data aggregators - but it’s hard, having read it and accepted his thesis, not to feel the future of the web might be a little bleak. Laniers solution of distributing value back into the chain via reverse linking is elegant, but is probably unlikely to happen, and even if it does, unlikely to happen in a time frame that is of benefit to people in business now. If your business model relies on the whims of a large data aggregator - and I hope you realize it really, really shouldn't if at all humanly possible - then, you need to get a few steps ahead of it, or out of its path. In the emerging environment, the big picture partly means “avoid getting crushed by a siren server”, although that's my characterization, and unlikely to be Cutts'! Remember, creating quality, relevant content didn’t prevent people from being stomped by Panda and Penguin. All the link building you’re doing today won’t help you when a search engine makes a significant change to the way they count and value links. It doesn't matter if we call it SEO, inbound marketing, social media marketing, or whatever the new name for it is next week, it is the business results that count. Is this activity growing a business and positioning it well for the future? If it’s an activity that isn't getting results, then it’s a waste of time. In fact, it’s worse than a waste of time. It presents an opportunity cost. Those people could have been doing something productive. They could have helped solve real problems. They could have been building something that endures. All the linking building, content creation, keyword research and tweets with the sole intention of manipulating a search engine to produce higher rankings isn't going to mean much when the search engine shifts their algorithms significantly. You could spread the risk. Reverse-engineer the shifting algorithms, with multiple sites, and hope to stay ahead of them that way. Become the gang of moles - actually, a "labour" of moles, in proppa Enlush - they can’t whack. Or, at least, a labour of moles they can't whack all at the same time! This is a war of attrition approach and it is best suited to aggressive, pure-play search marketing where the domains are disposable. If you don’t have a high degree of specialization, and your business relies solely on beating similar business by doing more/better SEO, then you’re vulnerable to the upstream traffic provider - the search engine. By solving a niche problem in a unique way, you change the supply/demand equation. The number of competing suppliers becomes “one” or “a few”. If you build up sufficient demand for your unique service, then the search engines must show you, else they look deficient. What’s the alternative? Entering a crowded market of me-too offerings? A lot of SEO falls into this category and it can be a flawed approach in terms of strategy if the underlying business isn't positioned correctly. When the search engines have shifted their algorithms in the past, many of these businesses have gone up in smoke as a direct result because the only thing differentiating them was their SERP position. Are you having trouble competing against other consultants? Consider respinning so you serve a specific niche. To specialize, an SEO might build a site all about dentistry and then offer leads and advertising to dentists, dental suppliers, dental schools, and so on. Such a site would build up a lot of unique and actionable data about the traffic in this niche. They might then use this platform as a springboard to offering SEO services to pre-qualified dentists in different regions, given dentistry is a location dependent activity, and therefore it is easy for the SEO to get around potential conflicts of interest. By specializing in this way, the SEO will likely understand their customer better than the generalist. By understanding the customer better, and gaining a track record with a specific type of customer, it gives the SEO an advantage when competing with other SEO firms for dentists SEO work. 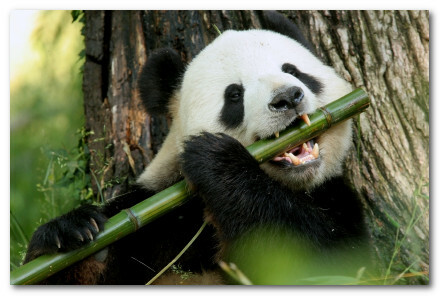 If you were a dentist wanting SEO services, who's pitch stands out? 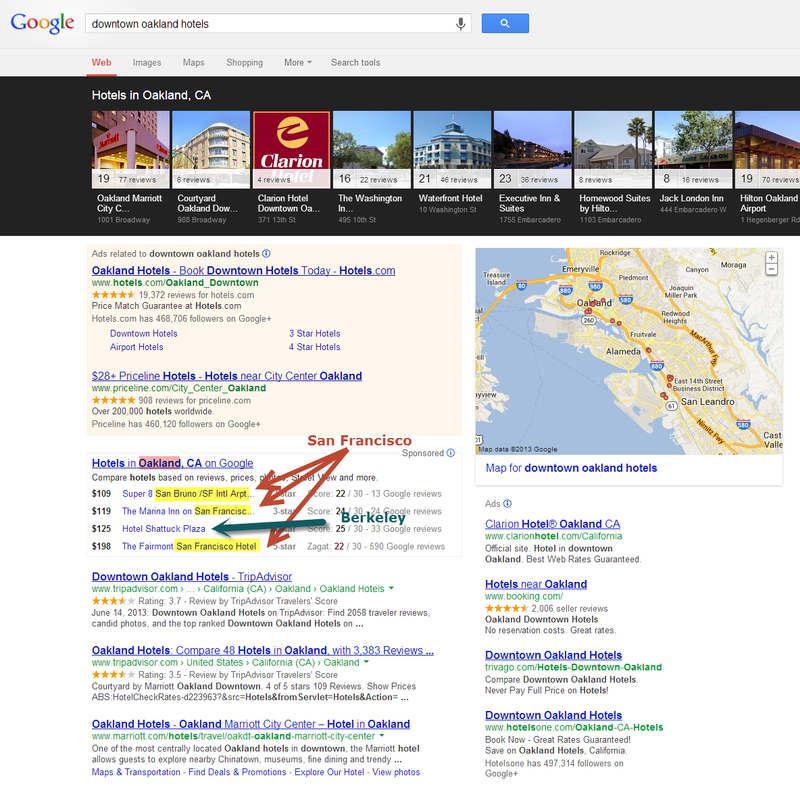 The generalist SEO agency, or the SEO who specializes in web marketing for dentists? Jon Henshaw put the hammer down on inbound marketing highlighting how the purveyors of "the message" often do the opposite of what they preach. So much of the marketing I see around that phrase is either of the "clueless newb" variety, or paid push marketing of some stripe. @seobook why don't you follow more of your followers? One of the clueless newb examples smacked me in the face last week on Twitter, where some "HubSpot certified partner" (according to his Twitter profile) complained to me about me not following enough of our followers, then sent a follow up spam asking if I saw his artice about SEO. The SEO article was worse than useless. It suggested that you shouldn't be "obvious" & that you should "naturally attract links." Yet the article itself was a thin guest post containing the anchor text search engine optimization deep linking to his own site. The same guy has a "book" titled Findability: Why Search Engine Optimization is Dying. The people who want to promote the view that "traditional" SEO is black hat and/or ineffective have no problems with dumping on & spamming real people. It takes an alleged "black hat" to display any concern with how actual human beings are treated. Then he told me he wasn’t seeing any results from following all the high-flown rhetoric of the “inbound marketing, content marketing” tool vendor. “Last month, I was around 520 visitors. This month, we’re at 587.” Want to get to 1,000? Work and wait and believe for another year or two. Want to get to 10,000? Forget it. 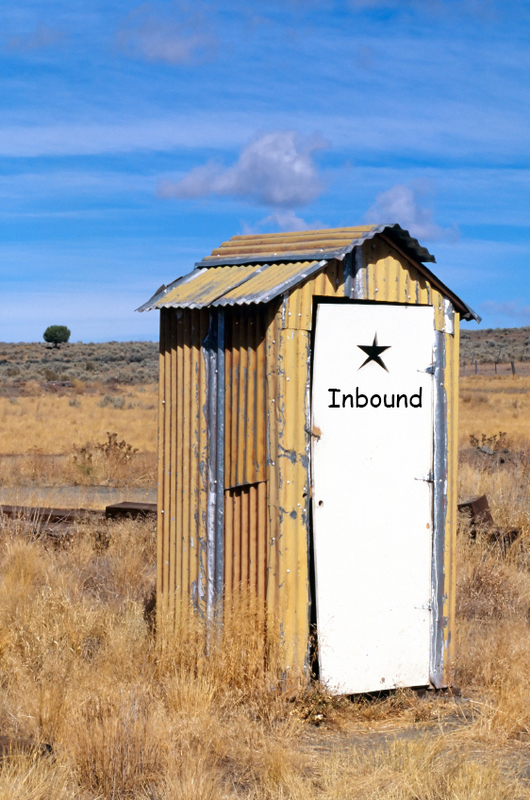 ... You could grow old waiting for the inbound marketing fairy tale to come true. Of course I commented on the above post & asked Andrew if he could put "inbound marketer" in the post title, since that's who was apparently selling hammed up SEO solutions. When we talk about marketing, we position classical outbound techniques as generally being less effective (and more expensive) over time. Not that they’re completely useless — just that they don’t work as well as they once did, and that this trend would continue." Hugh MacLeod is brilliant with words. He doesn't lose things in translation. His job is distilling messages to their core. And what did his commissions for HubSpot state? Claiming that "traditional marketing" doesn't work - and never did, would indeed be claiming that classical marketing techniques are ineffective / useless. If something "doesn't work" it is thus "useless." You never hear a person say "my hammer works great, it's useless!" That's equally true for keyword rich deeplink in a post telling you to let SEO happen naturally and for people who relabel things while telling you not to do what they are doing. If "traditional marketing" doesn't work AND they are preaching against it, why do they keep doing it?